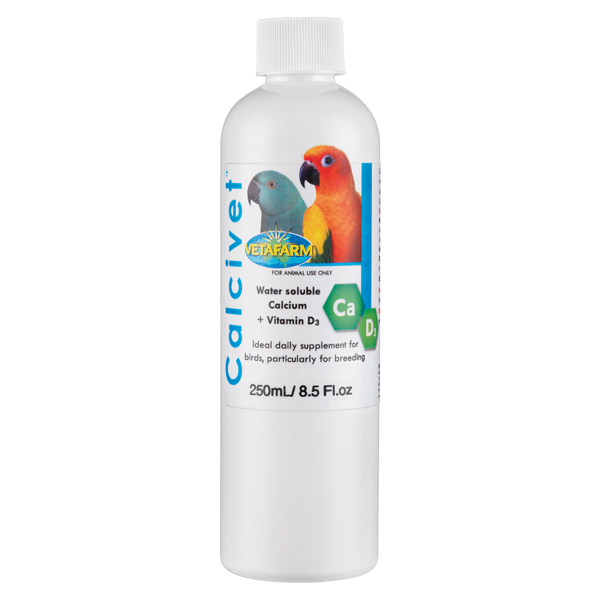 Includes specific amino acids and proteins required by South American parrots. Completely balanced extrusion cooked diet. 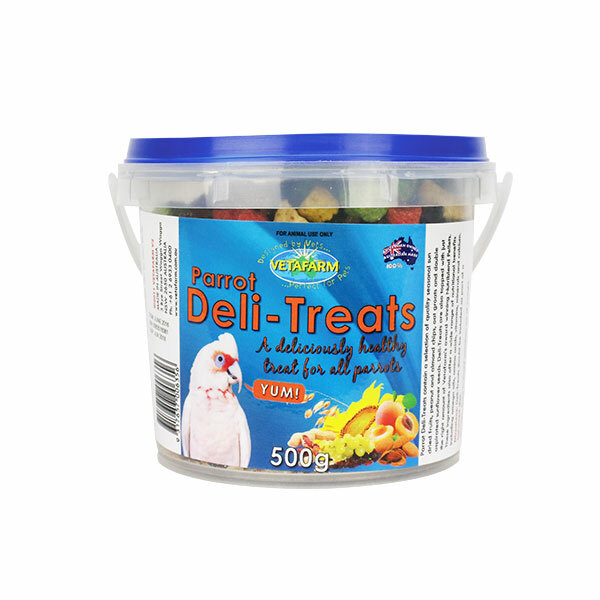 Contains fresh nuts to appeal to exotic parrots and replicate their natural diet. 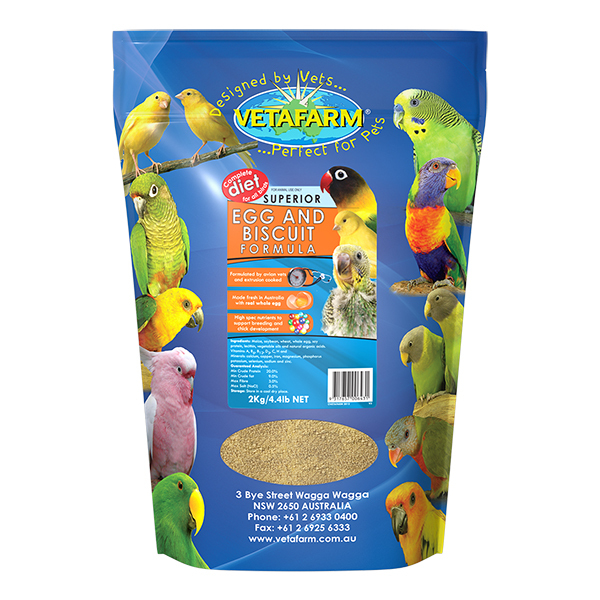 Contains all necessary nutrition required for general year round maintenance and increased fatty acids, protein, vitamins and calcium to support egg production, young bird growth and general breeding success. 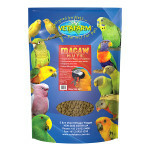 Macaw Nuts recommended for larger parrots such as macaws. 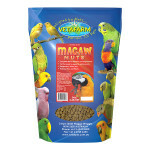 Macaw Nuts can be used for any pet or breeding South American bird. 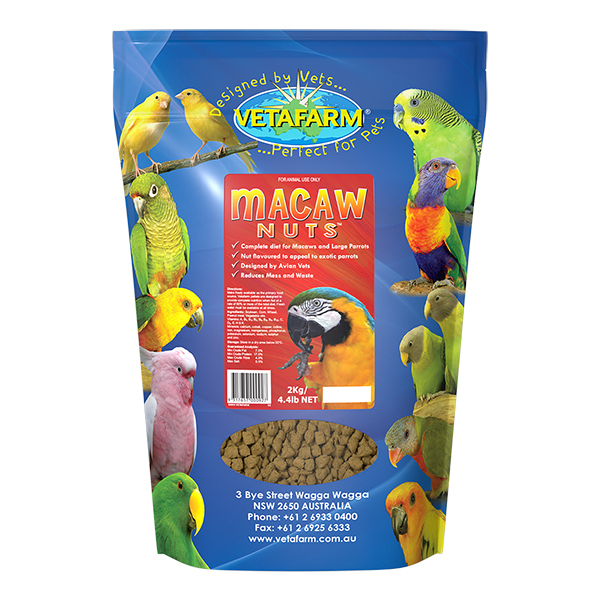 Macaw Nuts are a complete diet; no additional dietary supplementation is necessary. Fruits and vegetables can be given as behavioural enrichment. 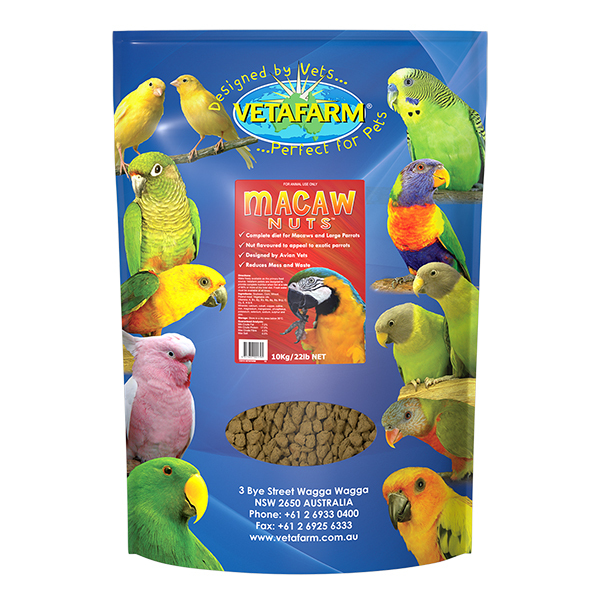 Macaw Nuts are a complete diet, no additional dietary supplementation is necessary. Fruits and vegetables can be given as behavioural enrichment.